Beaverlodge’s Kobe Grocholski’s debut with Team Alberta this weekend certainly was memorable. The 15 year old Peace Country Wolves Athletics Club runner amassed a total of four silver medals at the Tri Province Meet in Winnipeg. Running in the U16 category, Grocholski had second place finishes in the 800m (2:04), 12oom (3:20), and 2000m (5:56), all in personal best times. He also ran the 800m anchor leg in the Medley Relay for Team Alberta “B” which finished in the runner-up position. 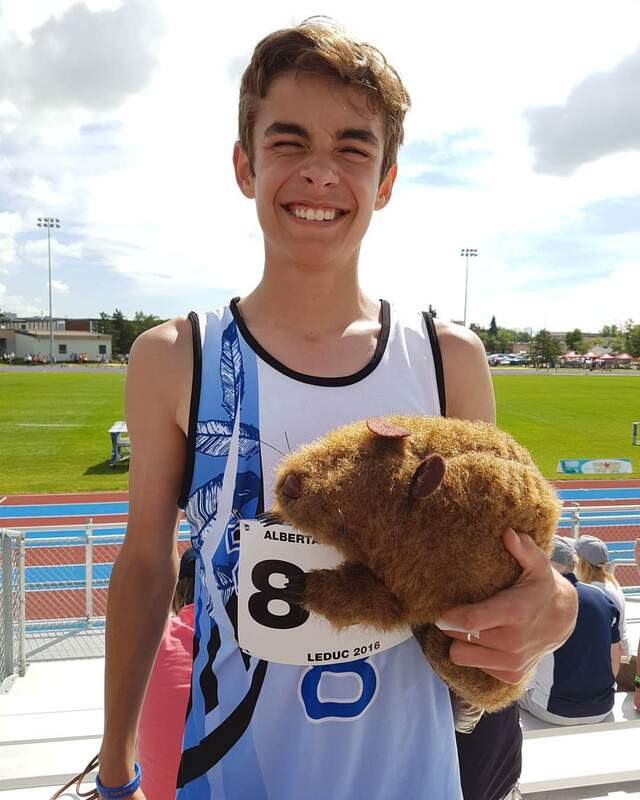 This entry was posted in Outdoor Track and Field and tagged Athletics Alberta, Beaverlodge Alberta, Kobe Grocholski, MB, Peace Country Wolves Athletics Club, Team Alberta, Track and Field, Tri Province Meet, Winnipeg. Bookmark the permalink.